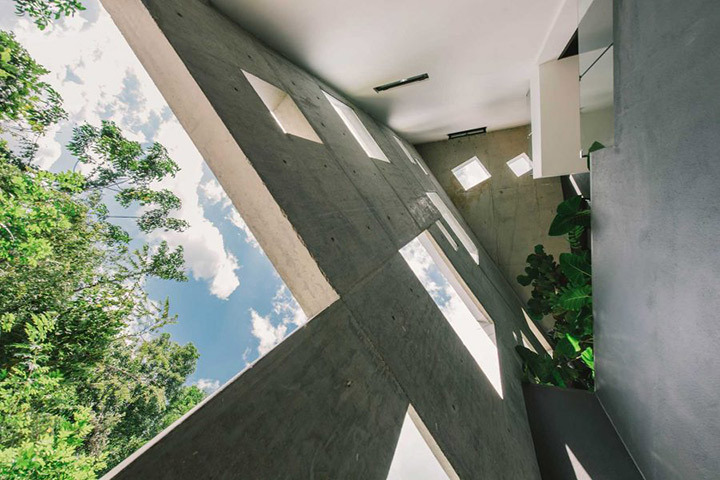 Created by the Formzero architecture firm, The Window house is created in a reserved forest situated in a reserved forest. 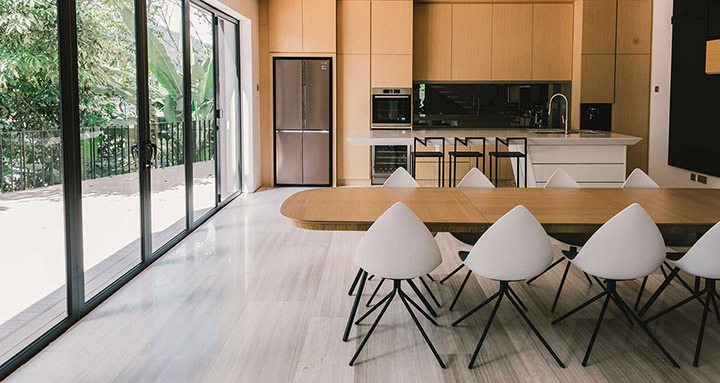 The client's need was to create a house with maximized indoor space but paid very little attention to the connection with nature. 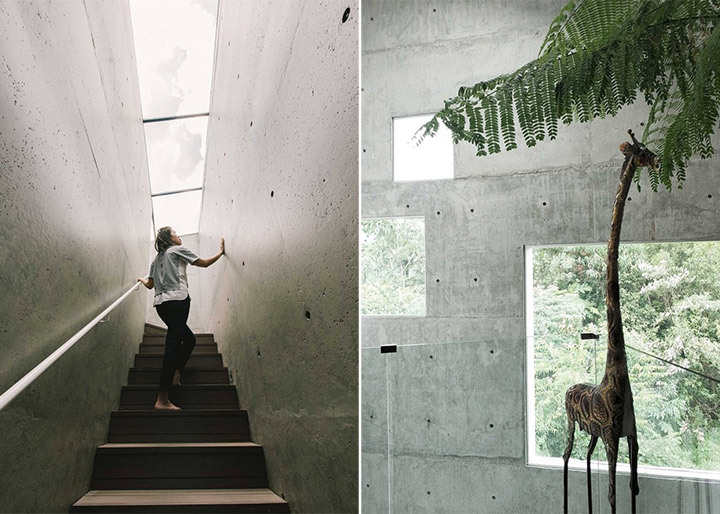 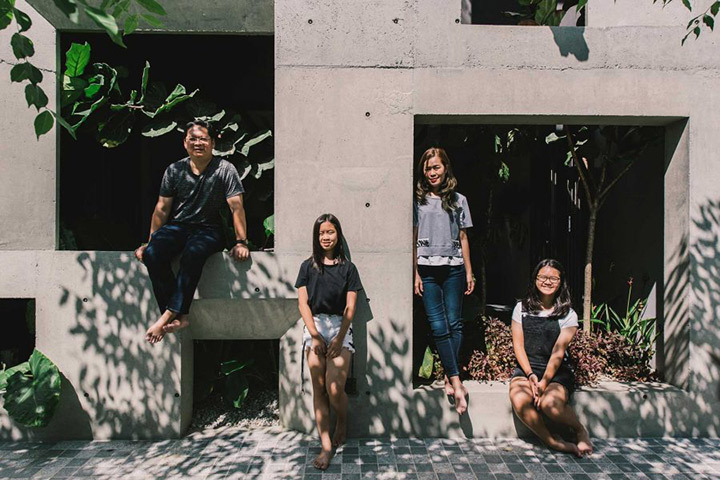 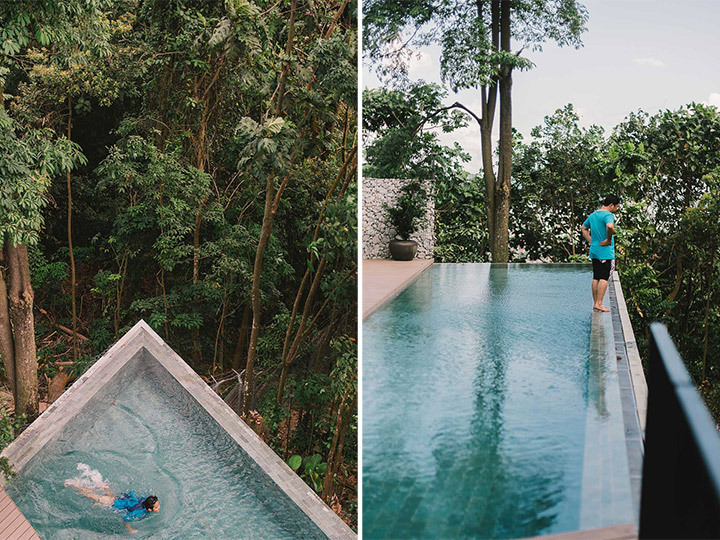 But the Formzero intention was to create a house with more connection to the nature as a house amidst of a forest has so much to offer. 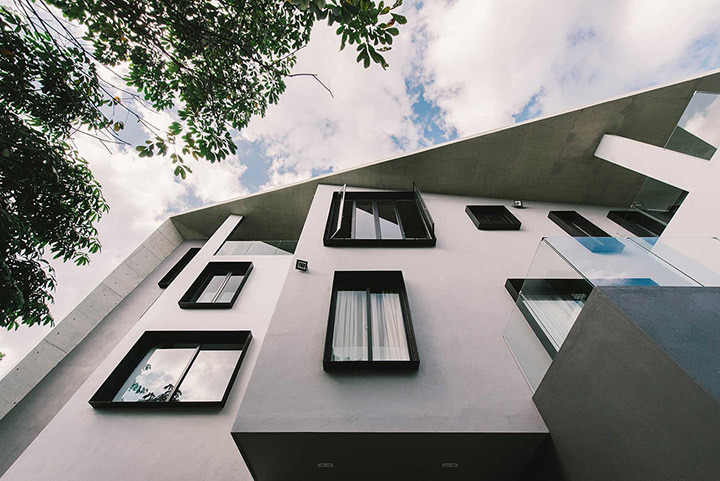 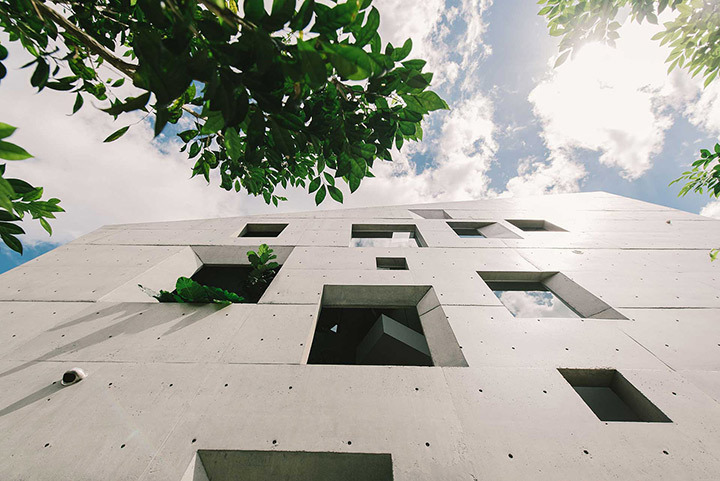 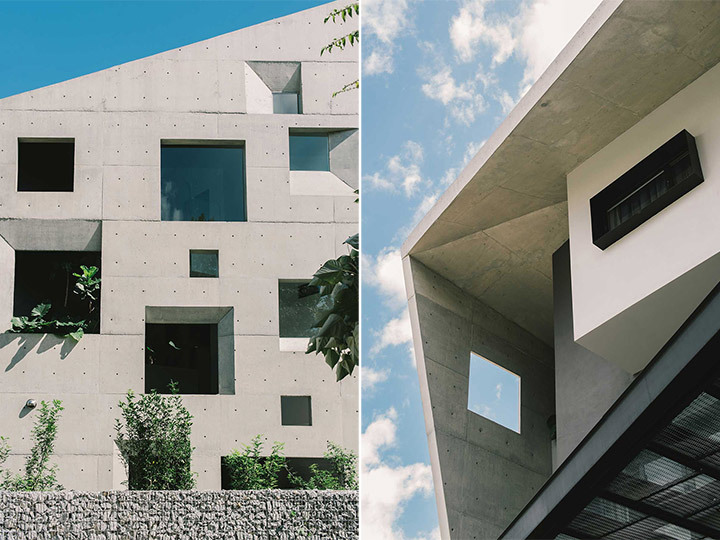 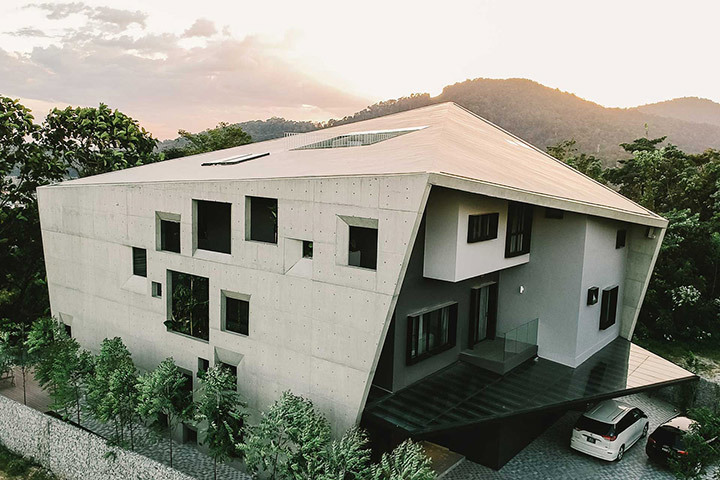 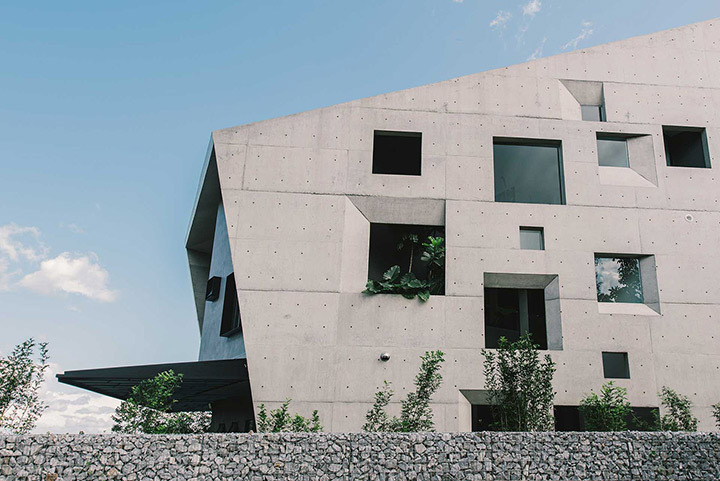 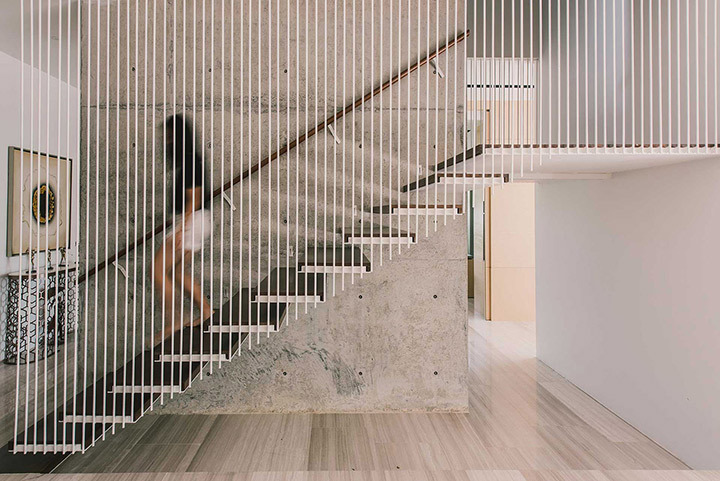 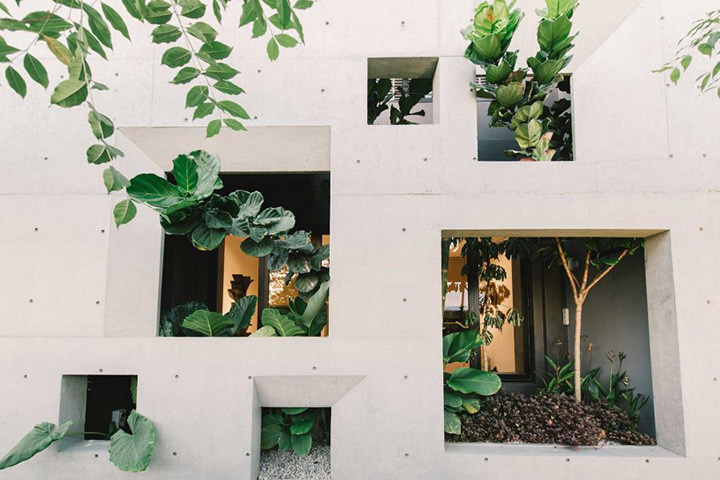 The result is an angular concrete shell that covers the house as a screen while allowing the windows to be kept open all the time, so the concrete shell provides thermal protection. 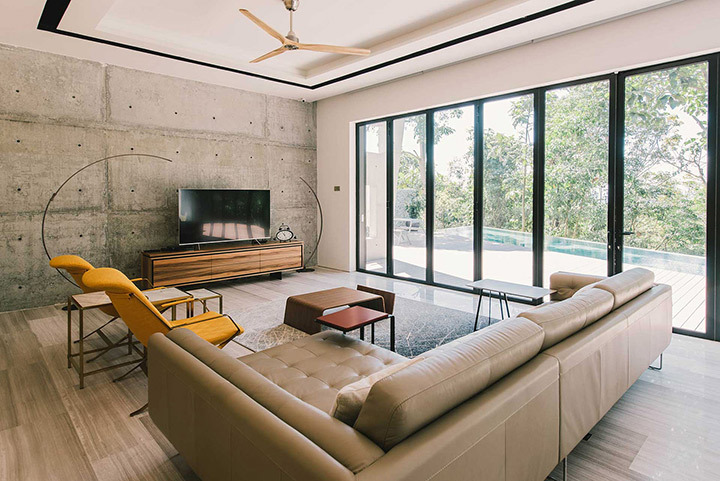 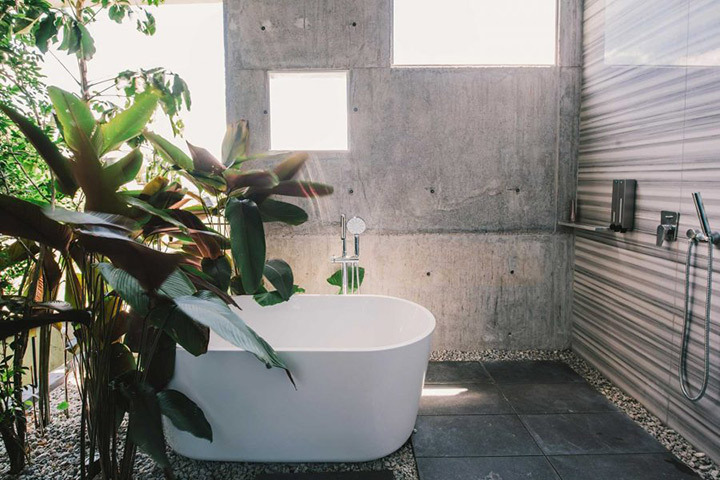 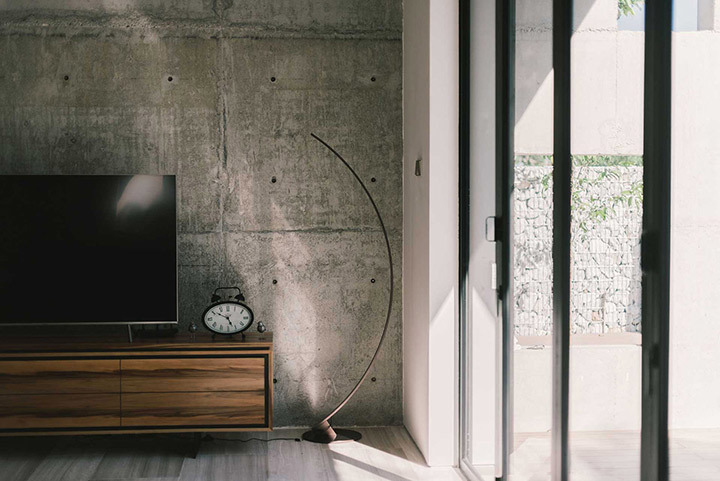 There are plenty of punctured hole like openings around the concrete shell in various sizes which lets in the sunlight in needed amounts inside the house.